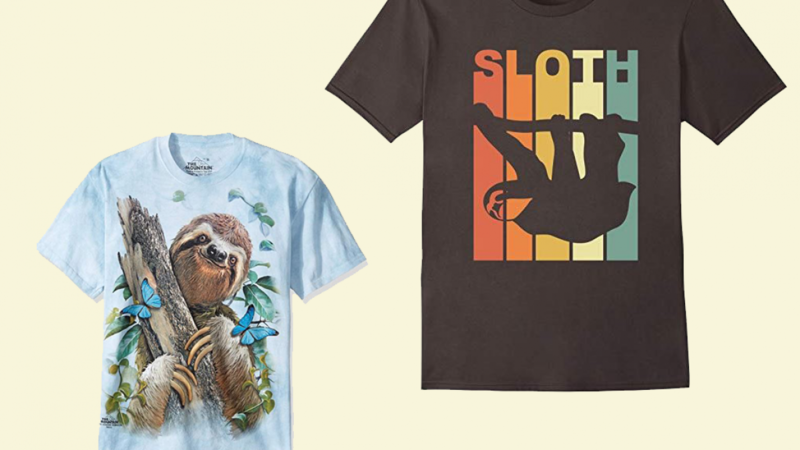 Any Sloth lover will adore these impressive and cool sloth t-shirts. You can select the style and color of these shirts because they are available in many different colors and styles. Customers can choose from infants shirts, mens shirts, womens shirts or childrens shirts. There are also a large range of sizes available. 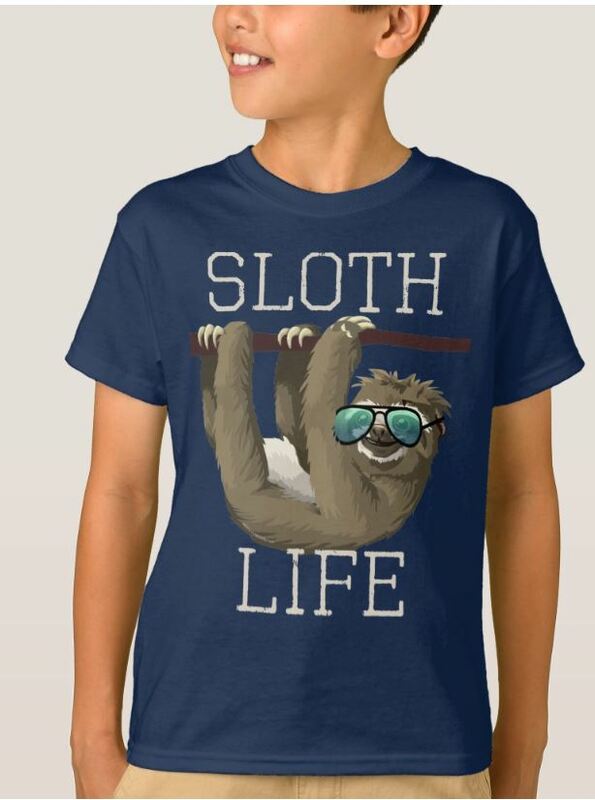 You can also turn any of these sloth shirts into a custom design by choosing to add text or change existing text. Personalize as little or as much as you want to. Many people are fans of the sloth because they are such beautiful animals. Sloths sleep for between 15 and 20 hours per day, if you like to sleep a lot or if you know someone who does they can probably identify with these cool creatures. Some of these shirts are available in sizes and styles to fit anyone and everyone. A great idea if you would like cute matching shirts for the whole family. 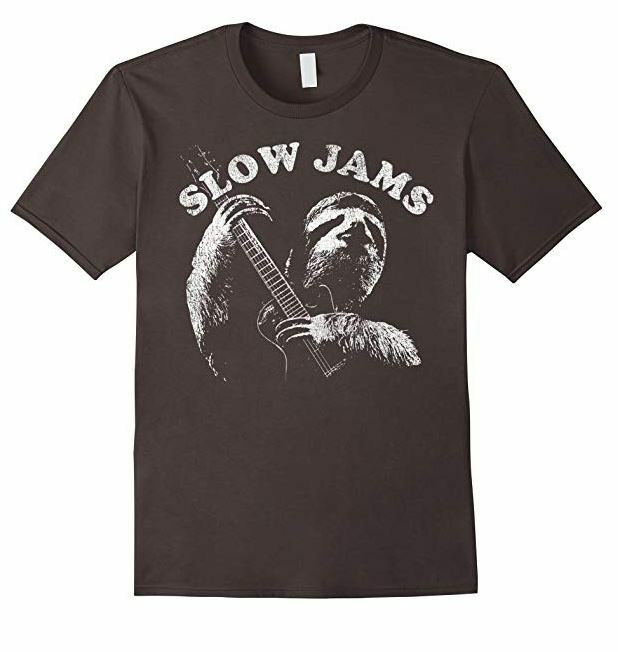 A modern-vintage design featuring a guitar and a sloth. Perfect for anyone who loves music and animals as well. 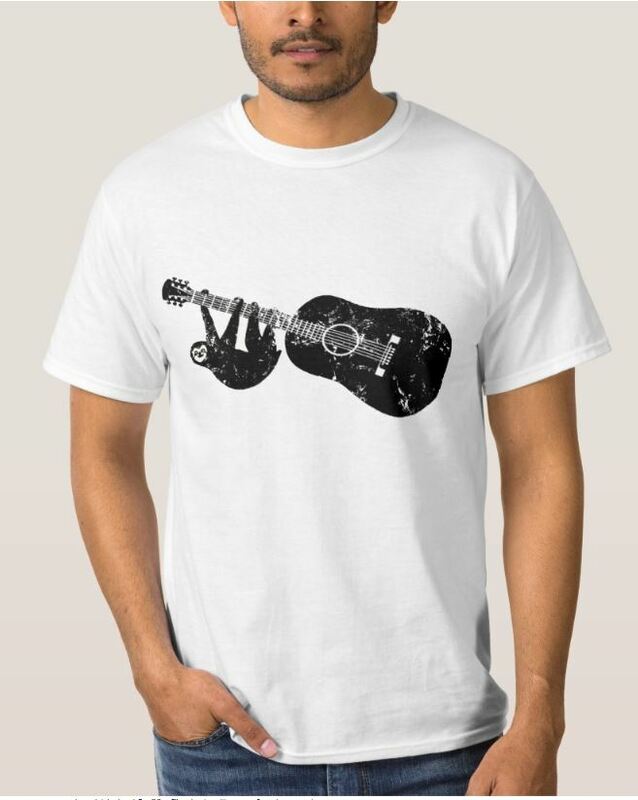 This one is a cool gift idea for a music lover who likes obscure and different fashion. You will like this one if you identify with the basic nature of the sloth. If you know someone who loves to sleep a lot then this shirt is a cool idea as a gift. It is available in several different colors and is sure to impress as a gift idea. 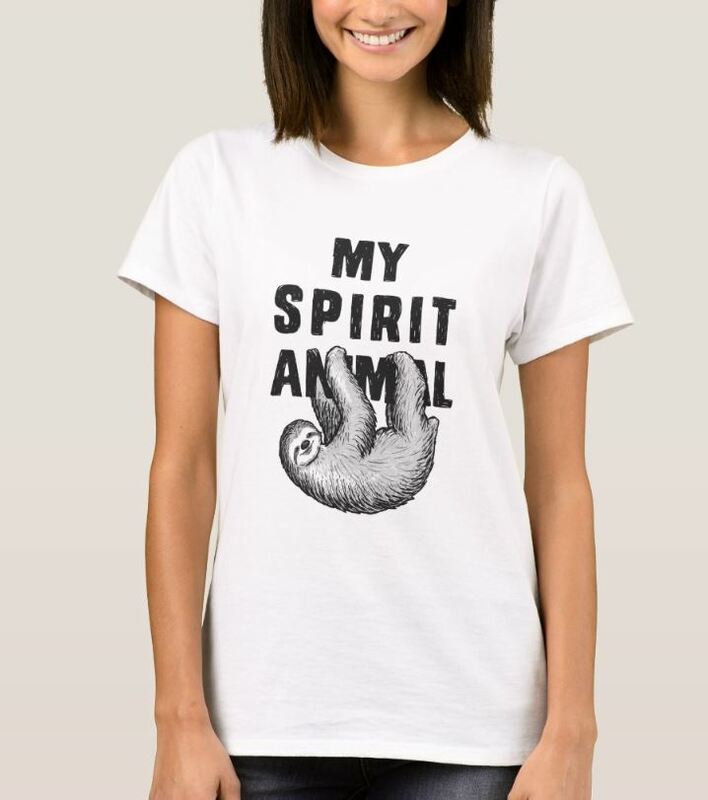 Also a cool and cute t-shirt for yourself to wear on lazy or casual days. This one is a fun choice for weekends or for casual day in the office. 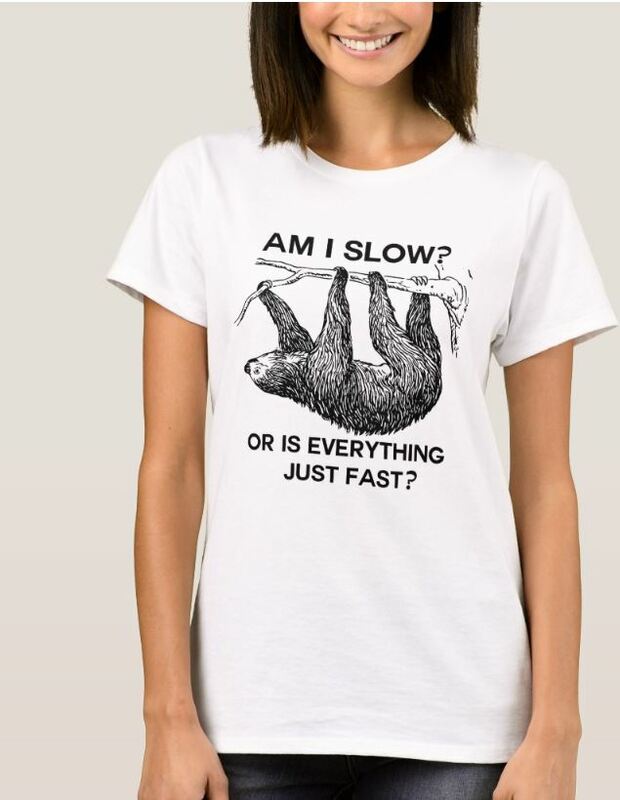 A quirky sloth shirt that is fun and cool. It is available in many different colors and styles to suit men, women, children and infants. 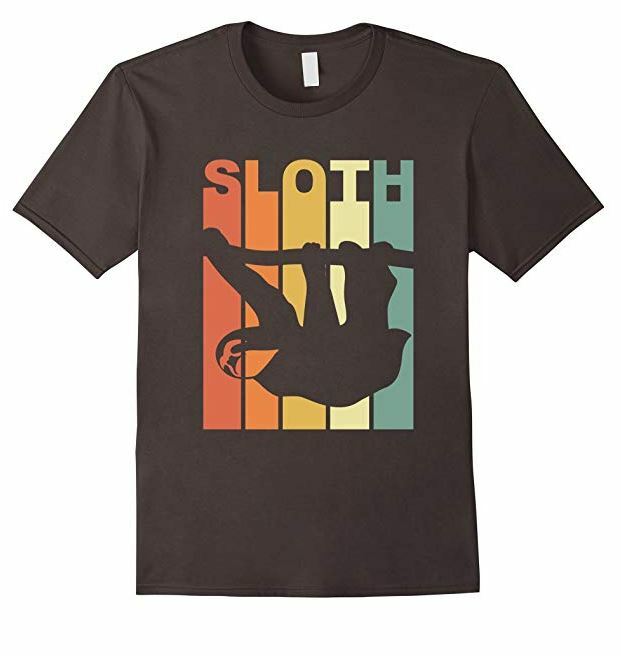 This men's shirt features a creative sloth design and it is available in a few colors. You can order it in asphalt (as shown), black, brown, navy or royal blue. 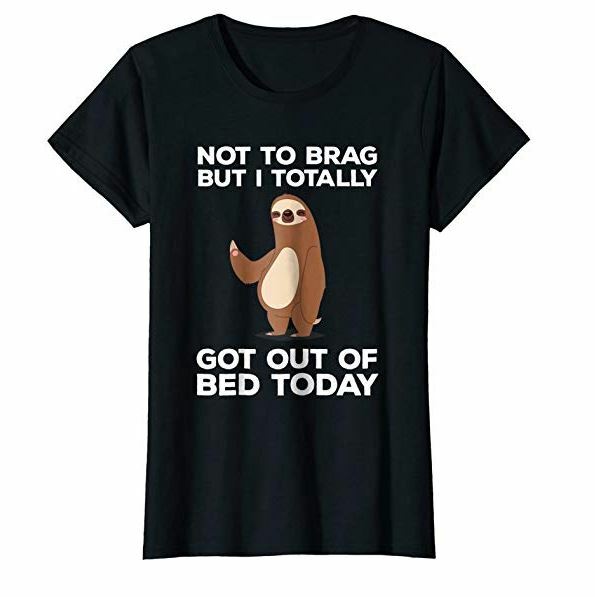 This shirt is a great representation of the personality of the sloth. If they did listen to music you can be sure that slow jams would be their preference. Available is several different colors and sizes. 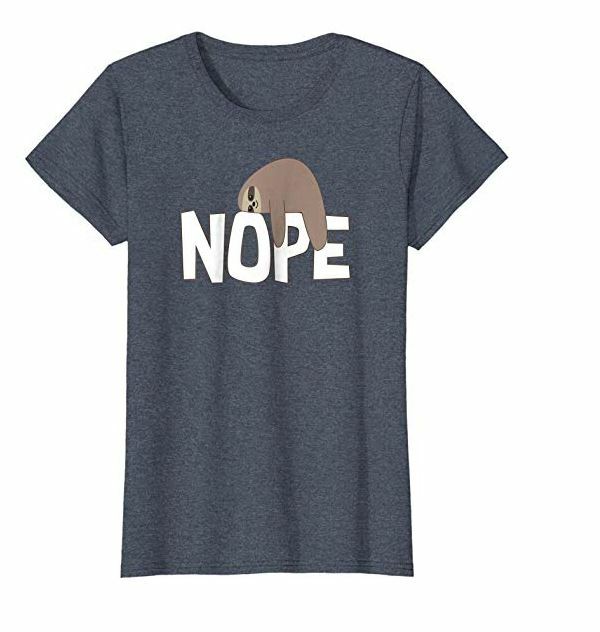 Let everyone know in advance that you are just not in the mood with this adorable t-shirt. It is available in 5 colors and the solid colors are made from 100% cotton. The other colors have a high cotton content but are mixed with other fabrics for effect. This design is by an independent artist and you can choose to order it on a shirt or a different product. There are shirt styles to choose from that include styles for women, children, men, teens, toddlers and infants. A cool idea if you want matching shirts for your whole family. 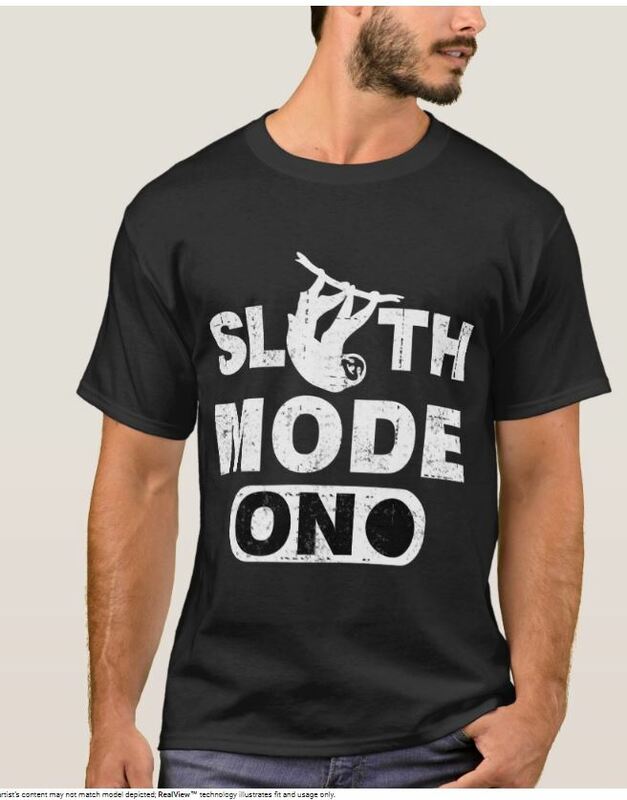 The perfect shirt for a relaxing vacation. Sloths move slower than any other mammal on earth. This is because there diet does not provide them with very much energy. They conserve their energy as much as possible. 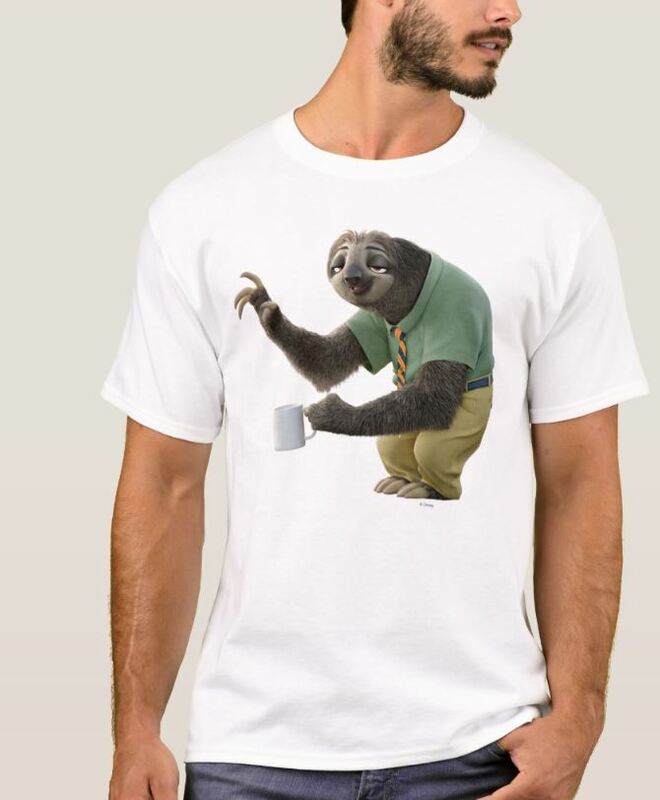 This pretty blue sloth shirt features a very creative and lifelike design. 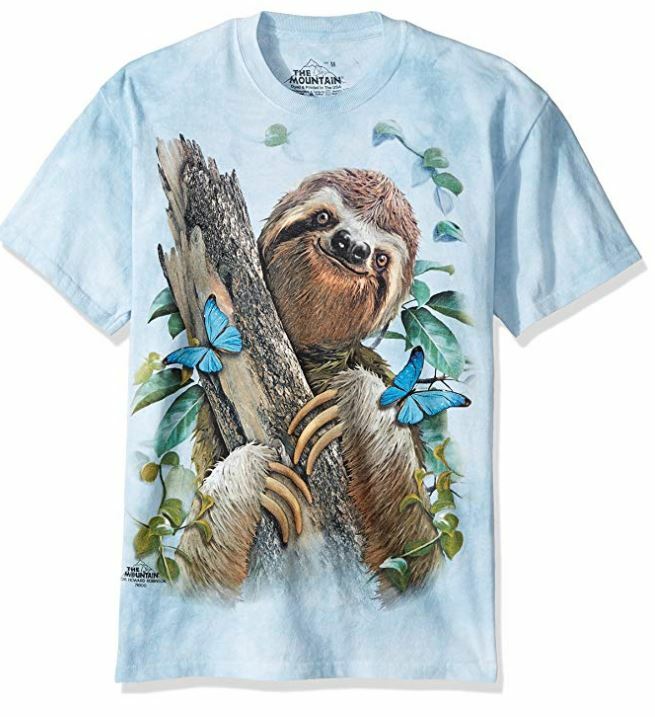 The shirt is pale blue and the sloth is shown alongside blue butterflies. You will find that it is very comfortable to wear and long lasting. The fabric is 100% cotton and the design has been printed using organic dyes. It is machine washable and the design will not fade or skew. When you're ready to take it easy put this cool shirt on and let the world know. A great way to let people know that you won't be doing chores or anything for a while. Perfect weekend wear.